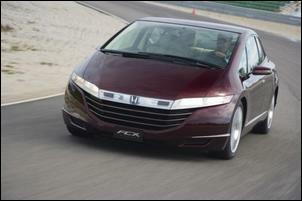 AutoSpeed - Will Hydrogen Happen? Long seen as the dream fuel to power a globally sustainable transport system, hydrogen still faces formidable obstacles on many fronts. This story, sourced with permission from automotive technology development company Ricardo, shows how plug-in hybrids might be the vehicles best placed to use hydrogen. Less than a decade ago there was little or no public awareness of the negative environmental effects of carbon emissions or the need to reduce the use of – and ultimately move away from – fossil fuels. Today, however, it’s the issue that’s on everyone’s lips: the debate is no longer confined to the environmental movement but has become a public talking point. This means that the pressure is on for policy makers to begin delivering more focused proposals for providing sustainable energy, not just for road transport but for the supply of domestic and industrial energy as well. And inevitably in any debate about energy, that dream zero-carbon fuel – hydrogen – is the central focus. 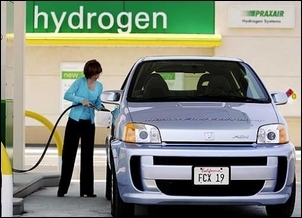 Hydrogen is still very much on the agenda as an energy carrier, along with electricity. But, says Ricardo project director for research and collaboration Nick Owen, the time has finally come to recognise just how great some of the challenges to its widespread use really are. This view is informed not least by his role over the past three years as program manager of the European Roads2HyCom project, a partnership of 29 organisations led by Ricardo, that has studied technical and socio-economic issues associated with fuel cell and hydrogen technology across Europe. The most likely use of hydrogen is still in conjunction with fuel cells, he says, though fuel cells can also run via reformer technology on a number of different fuels, including gasoline. “Our view is that the fuel cell is a promising but challenging technology that certainly has a future, and probably in road transport too,” says Owen. Yet he points out that a lot of commonly held beliefs are now in question. Historically, fuel cells have always been good at delivering a steady supply of power and have undergone considerable development to allow them to emulate the transient capability required of a car engine. Today, thinks Owen, economic factors make fuel cells suitable for stationary applications: a fuel cell in a combined heat and power system tends to operate at constant power, whereas in a car it spends most of its life switched off or operated at part load. It is hardly surprising, then, that despite the best efforts of the automobile industry, it is the developers of stationary fuel cell systems who are now beginning to fulfil their commercial goals. Ricardo is aware that three fuel cell integrators have announced forward orders for tens of thousands of fuel cell systems in the stationary sector. Two of those are working in the domestic heat and power sector and the third is in telecoms. Together, they have orders for around 100,000 stationary fuel cell systems which should be delivered in the next four years or so. Cost per kilowatt is still one of the major barriers facing fuel cell producers, and this is a particular challenge in road transport applications. A domestic stationary fuel cell system typically produces heat and power for at least 50 per cent of the time, day and night. Not only is a fuel cell in a car doing nothing for most of the time, but while it is running its average output is likely to be 10 kW or 20 kW and not the 80 kW maximum it needs to be capable of. This applies even in a hybridised application in which energy buffering can be used to manage and smooth out demand. The other major factor which automotive fuel cell developers are conjuring with is economy of scale. “At least 10 per cent of cars across the EU would need to be powered by fuel cells before economies of scale bring the cost down enough,” Owen calculates. Even after a decade on the market, hybrids still have not achieved this level of sales and the current players, says Owen, are “playing a long game”. With hybrids there are fewer technical issues than with fuel cells, which will also need a completely new fuel delivery infrastructure. In addition to the technical issues and logistics of its delivery and storage, fuel purity is also a major issue. 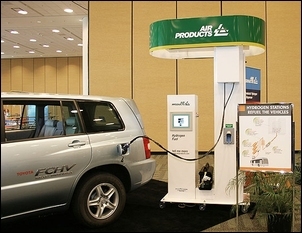 But perhaps the biggest technical hurdle is still the cost-effective production of hydrogen fuel tanks. Fuel cell stacks are beginning to mature. A passenger car with a life of 200,000 km needs a fuel cell life of 5000 hours, and manufacturers are now starting to achieve this. A combined heat and power stationary fuel cell with a life of 10 years would need a fuel cell life of 90,000 hours. Again, manufacturers expect to realise these targets during the next couple of years. The story is similar with regard to cost. Two major fuel cell developers say they could manufacture a high volume PEM fuel cell stack (ie not the complete system) for transportation use for $50 per kilowatt. In the stationary sector, the cost of the next generation of systems has been brought down to around $2000 per kilowatt installed. At these levels, both would be commercially viable. However, while the fuel cell is a glamorous component that tends to get all the attention, there are more potential suppliers who believe they know how to make a cheap fuel cell than there are those who know how to make a cheap hydrogen tank. “Hydrogen is an inconveniently small molecule with some really quite nasty escape habits,” continues Owen. As a result, Ricardo believes that the fuel tank of hydrogen powered vehicles will be a highly expensive component compared to today’s products. A typical gasoline tank with all its associated components currently costs around $150, whereas a comparable hydrogen tank, even made in high volumes, could cost $10,000 or more. Composite hydrogen tanks usually comprise an impermeable core wrapped in carbon fibre using a process that takes days not hours; the tanks also need to have some 200 sensors integrated into them to warn of impending failure. The tanks are predominantly hand-built from one of the world’s most expensive materials, and finding a way to significantly reduce the cost has so far eluded manufacturers. A further problem is that even at $10,000 the tank still won’t buy you a substantial driving range – and beyond the current maximum level of 700 bar the advantage diminish as the cost and weight rocket. Some developers have even been reported as considering a reversion to 350 bar technology. An alternative approach is likely to be in optimising other aspects of the car’s design – such as reducing weight - to improve the range. But in an area where increased value is placed on energy efficiency, such efforts are likely to be necessary even with vehicles powered by conventional fuels and conventional liquid fuel tanks. 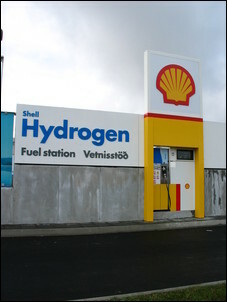 One less obvious factor in the hydrogen debate is how best to deliver it to the point of sale, says Owen. The question of sourcing hydrogen is complicated but considerable amounts are already used in industrial processes such as fertiliser production and the refining of metals, plastics and petrochemicals. More to the point, the existing surplus production of hydrogen, based on fossil fuel, could support the early stages of a hydrogen transport system. But the supply of hydrogen fuel would need to migrate to low carbon, renewable sources for its use to make sense in the long term. The Roads2HyCom project concluded that by 2020 the development of renewables will not provide a sufficient surplus beyond the extra already required for the greening of the existing electrical grid power infrastructure. Clearly, natural gas is not a sustainable fuel source: the well-to-wheel greenhouse gas emissions (running on natural gas) can even be slightly inferior to those of an advanced fossil-fuel hybrid vehicle. In the long term, the aim would be to manufacture the hydrogen by sustainable means, and in Europe this would need to integrate with broader EU energy policies. Carbon-captured coal is a slight exception, Owen continues. During the carbon capture process, hydrogen liberated when the CO2 is extracted from the coal is used to drive the power station. However, it may well be possible that there would be sufficient surplus heat in such power stations to export some of the hydrogen for use in vehicle fleets, so that the competition between power generation and use as vehicle fuel is reduced. The surplus can be substantial. A power station producing 400 MW of electricity can produce enough surplus hydrogen to power 1000 fuel cell buses or 25,000 cars. Generally, though, there will always be competition with the energy grid for a supply of primary energy. In order to make those resources available for hydrogen production, there will either need to be a policy shift which recognises the secure supply of coal within Europe, or a surplus. It follows, then, that for hydrogen supplies to have genuinely green credentials and for there to be sufficient quantities, the ramp-up of this infrastructure will need some ambitious energy policies making clean energy sources generally available. If the two are not closely coordinated, the situation may well arise where there is insufficient energy available for it to make environmental sense to use it in the manufacture of hydrogen. The plug-in hybrid: key to hydrogen? It is now clearer than ever before that the initial excitement over fuel cell vehicles and their early deployment in the late 1990s was misplaced, says Owen. Owen believes that with the anticipated progress on nano technologies, the electric car will eventually flourish as an alternative to combustion-engined vehicles. The existence of that infrastructure may have been overlooked in the rush to develop bold new alternatives, he notes. Transmitting that electricity, charging a battery with it, and then discharging it through a motor is highly efficient compared to making hydrogen from a primary energy source, then putting it into a fuel cell and turning it back into electricity, he explains. 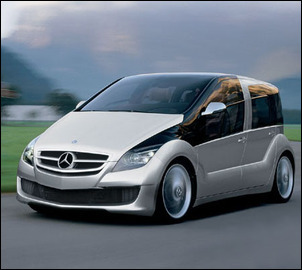 “So an EV [electric vehicle] , well-to-wheels, could have about half the carbon footprint of a fuel cell vehicle. But range remains an issue. Using a traction battery in conjunction with a fuel cell powertrain, rather than relying completely on the fuel cell to deliver power to the motor, means that the fuel cell can be less sophisticated and thus cheaper to manufacture. The battery can also be smaller and cheaper than that of a pure EV. This approach may be perceived as something of a U-turn in view of the fact that fuel cell developers were once obsessed with developing stacks that could emulate the transient response of an internal combustion engine, rather than relying on heavy and expensive battery packs to support them. But with a clear trend towards increasing hybridisation and better and cheaper battery technology, fuel cells are clearly not the only game in town. Hydrogen is a promising solution for the future but it will be only one of a number of solutions, Owen concludes. 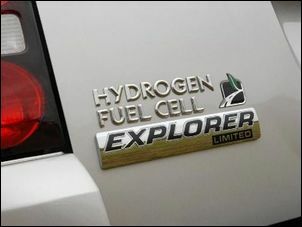 “I think it’s unlikely we will ever see a world that is only populated by hydrogen fuel cell vehicles. It’s a fundamental law of nature that when resources get scarce, you have to diversify. That law applies to road transport every bit as much as it does to plant and animal species on a desert island.